Hello Beauties, I hope you're all well. I've now finally finished my exams, so you'd think that I'd be pretty stress free by now, but unfortunately not. Final Year is just one stress after another and the day after I finished my exams I had to get back into researching for my Dissertation - honestly, I can't wait for Uni to be over. I know it's supposed to be some of the best years of your life but I'm so done with being a student now! Anyway, I had a few brushes from Crown Brush delivered a few weeks ago now which I just haven't had time to blog about due to all of the exam revision and stress, but I couldn't put it off any longer as they're just brilliant! I've been on the hunt for some good quality budget brushes for a while now, as I haven't been too impressed with the ones I've received off eBay and Amazon (you know, the huge sets that cost like £10) and although I do love Real Techniques, they just don't stock the brushes that I'm looking for. I feel like their collection is quite limited, with a lot of their brushes being quite similar and their range of eye brushes is quite small. 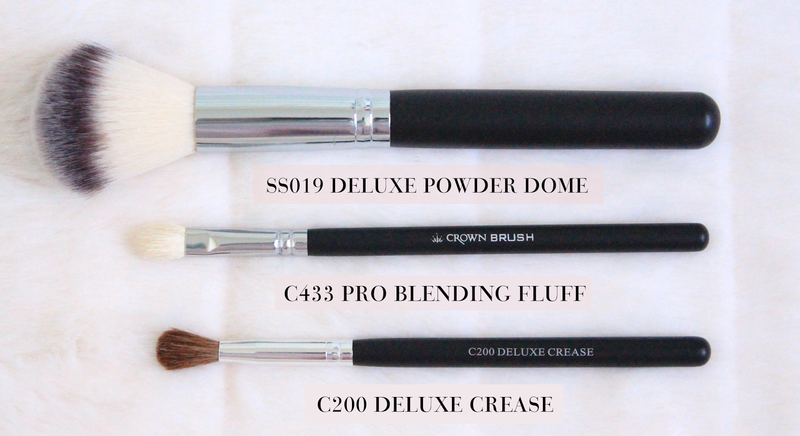 The first brush I got was the SS019 Deluxe Powder Dome Brush as I've been needing a new powder brush for months now and just never got round to replacing mine. I currently have a synthetic black brush which has been working well for me for years, however recently it has started to leave black dye all over my face which is not a good look, let me tell you! There are so many brushes on the market that it's hard to choose which one to go for, but when I tweeted asking for great budget brushes, specifically powder brushes, this one from Crown Brush was suggested to me. The Deluxe Powder Dome Brush is a synthetic brush which means it is super easy to clean and it's oh so soft. It's a dream to apply powder with this brush as it feels like silk on your skin, and it also contains no black dye so I don't have to put up with black streaks all over my face! The next brush I went for was the C433 Pro Blending Fluff Brush which is an excellent dupe for the MAC 217 brush with has been on my wish list for yonks now! The Pro Blending Fluff Brush is a short fluffy brush made from soft goat hair which tapers into a tip. This brush is perfect for either patting on your eyeshadow colour to achieve a bold look, or blending out colours to achieve a softer look, which is what I use it for. Honestly, this is an exact dupe for the MAC 217 brush, I went back to my local MAC counter to compare just how similar they are and apart from the brand name, I couldn't tell a single difference. The Crown Brush option is around a third of the price too, so if you've been wanting to get your hands on the MAC 217 brush, I highly recommend picking this one up first and saving your pennies. The last brush I have to show you is the C200 Deluxe Crease Brush. I was previously using the Sigma E35 brush wish is a fluffy tapered crease brush, but as Sigma is so hard to find in the UK and having one just wasn't enough unless I wanted to wash it every time I tried a different colour, so I decided I needed to look elsewhere. The Deluxe Crease Brush from Crown Brush was exactly what I was looking for. It's a fluffy, tapered crease brush which is amazingly soft (possibly more so than the Sigma one I love) and whats better? It's only a teensy £3.19, making it an excellent budget option. Like I said, this brush is so soft and perfect for blending out my crease colour to create a blended, soft eye make up look. Overall, I'm so impressed with all of the brushes I received from Crown Brush. These are the first brushes I've tried from the brand and they definitely won't be the last. Crown Brush also have some amazing looking make up products which I know will be heading into my basket next pay day! 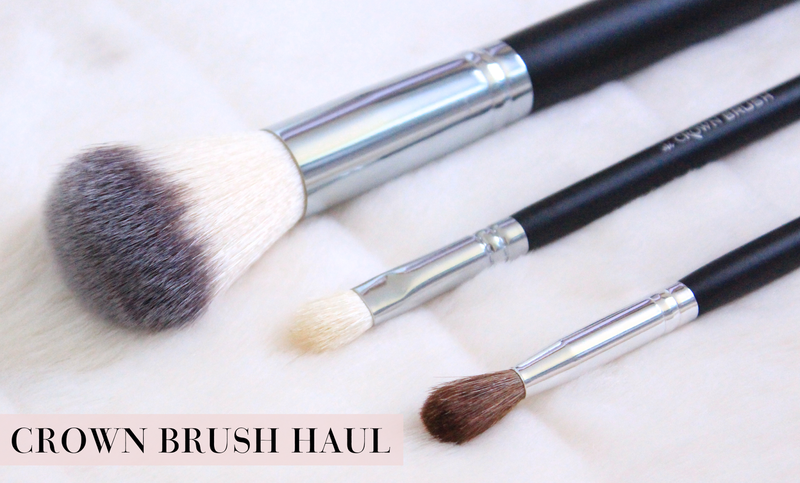 Lovely post, I have a few brushes from Crown Brush and they're really fab! Ive been wanting to try some crown brushes for ages! Must pick some up soon! These brushes look amazing! I've been meaning to update my brush collection for a while now, these look like the perfect new additions! Coincidentally, I just posted about some brushed from Crownbrush I've had for ages! 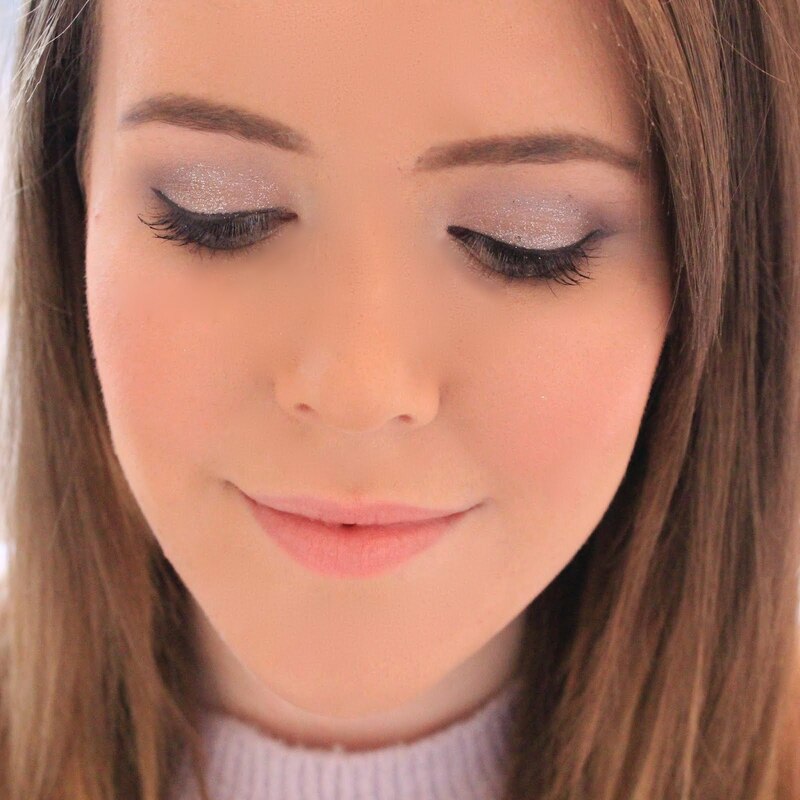 I may have to look into the Powder brush as I've recently become more interested in using powders! So glad to hear you are happy with your new make-up brushes lovely!